As most of you have heard by now, Freddy ‘Sez’ Schuman passed away at Lenox Hill Hospital yesterday after suffering from a heart attack on Friday night. He was 85. In the same year, the Yankee family also lost George M. Steinbrenner III, Bob Sheppard and Ralph Houk. He was a “Super Fan”, a Yankee Stadium fixture and was said to be one of the most genial people you could ever meet. With frying pan and spoon in hand, he would walk up and down the stairs of the great cathedral, stirring up the crowd. He would interact with the fans, pose for pictures, and sign autographs. He couldn’t believe that others wanted his autograph, considering he was only a fan of the team. Just last week, people were banging on his shamrock frying pan and shaking his hand, so this caught people by surprise. He was even in a recent Nike commercial (at the 52 second mark). It seemed like he would always be there. I think I can speak for all Yankees fans, in saying that he will be deeply missed. He was as passionate as they get. Will the Yankees organization have a moment of silence tonight to honor one of their most dedicated fans? According to a bleacher creature, they did it for original Cowbell King Ali Ramirez back in 1996. Update: 5:00PM ET: According to Kim Jones, the Yankees will honor Freddy “Sez” Schuman with a moment of silence before tonight’s game. An old friend of Freddy Schuman, Howard Goldstein, recently contacted me after he heard the news of his passing. This man used to take Freddy out for lunch in Manhattan (and then over to the stadium for the game). Howard wanted to share some memories of his friend, and I thought it would be a great idea. I would like to thank him for sharing these stories. I met Freddy “Sez” in the early 1990s, around the time that my son David was born. This was about the same time that I began to resume being a serious baseball fan, after having been only a casual one for the prior decade. When I first saw Freddy do his frying pan thing at the old Yankee Stadium (the only real Yankee Stadium in my opinion), I immediately was reminded of the stories that my Dad (a lifelong Brooklynite) had told me about the uber-fan Hilda Chester of his beloved Dodgers. Freddy appealed to my sense of baseball as a game which, above all else, was supposed to be about having fun. Freddy also appealed to my sense of passion since, when it came to the New York Yankees, I knew of nobody who had greater passion. Although I did not have much of a rooting interest in those days for either the Yankees (who were my childhood team), or the Phillies (for whom I rooted since moving there in 1978), I nonetheless for a number of years had been a collector/budding historian of all things related to Jews and baseball. It was Freddy’s Jewish roots which made him of particular fascination to me. I remember approaching Freddy outside the Stadium one day and telling him about my interest in that subject. As someone proud of his Jewish heritage, Freddy liked hearing me tell him oddball stories about the Jewish ballplayers and others whom I followed. Over the years my interest in baseball itself, both in the Yankees and the Phillies, grew exponentially to the point that I now have season tickets in both cities. As a result, I probably came to the Bronx (on average) at least a dozen times per season. During this period I had begun to email with Freddy and then went to his apartment where I marveled at the incredible number of signs that he had stored from prior years. I remember buying a few of those from the 1996 World Series and thinking what wonderful works of folk art they were. It was at this visit that Freddy and I had our first lunch. I greatly enjoyed talking to him because his passion for the Yankees poured out of every pore. Freddy regaled me with wonderful stories that day and I hoped it would be only the beginning of many such get-togethers. From then on, I continued to email with Freddy and also would try to meet him at least once a season for lunch and then drive him to the Stadium for the ballgame that day. At one of these get-togethers, Freddy graciously agreed to give me one of his precious frying pans so that I could use it when I eventually mount a museum exhibit on Jews and Baseball. Such an exhibit probably will occur within the next several years, and at that time I will joyfully display the pan (and one of his unique signs) in honor of my warmly remembered friend Freddy. There will be nobody to replace Freddy “Sez”, and for that the new Yankee Stadium will be the poorer. The type of daily dedication and passion which Freddy exhibited towards his beloved Yankees is basically a relic of the past (though the real Bleacher Creatures are similar in certain respects.) What a year this has been for the Yankees. what with the passing of Steinbrenner, Bob Sheppard, Ralph Houk and now Freddy “Sez”. I just know that Freddy is in heaven arguing with George about the over-the-top size of his Monument Park statue. If it were up to me, I would put one there of Freddy because the joy that he brought to innumerable Yankees fans over the years was priceless. Many people have said that nobody throws a ceremony like the New York Yankees. It’s so true. The Yankees held a very emotional tribute for the Steinbrenner family, as they unveiled the monument dedicated to the late George M. Steinbrenner III. The whole Yankees team walked out to center field, leading the Steinbrenner family and former Yankees players and staff into Monument Park. Joan Steinbrenner pulled the curtain covering the monument, and fans were stunned by how big it was. George would’ve liked it like that. His monument trumps all of the others in size, and stands in between Mantle and DiMaggio. According to Yankees PR, the monument is manufactured by US Bronze (Hyde Park, NY). It measures 7 ft. by 5 ft. high, not including the base. It weighs 760 lbs. After everyone left the park, Mariano remained kneeling in front of the monument, paying tribute to The Boss. “Just a reminder, the Yankees will hold a special ceremony to dedicate and unveil a monument in honor of George Steinbrenner in Yankee Stadium’s Monument Park prior to tonight’s game against the Rays. The Yankees are asking fans to arrive early and be in their seats by 6:45 p.m. Monument Park will be closed to fans prior to the game. The ceremony is scheduled to begin at approximately 7 p.m. with a special introduction behind home plate, followed by the unveiling of Mr. Steinbrenner’s monument in Monument Park. Mr. Steinbrenner’s granddaughter Haley Swindal, who is currently performing in the musical Cabaret at the Surflight Theater in Beach Haven, N.J., will sing God Bless America during the seventh-inning stretch in tribute to her grandfather. Frank Sinatra, Jr., will sing the national anthem prior to the game, while the colors will be presented by the West Point Color Guard. “The Yankees have announced the full schedule for tonight’s pregame ceremony. Everything will begin at 7:05, pushing first pitch back to 7:35. There will be a video tribute, the family will got to monument park and the monument itself will be unveiled at 7:20. Torre & Mattingly head to Yankee Stadium for the first time to attend Steinbrenner ceremony! The Dodgers have the day off on Monday, which will allow both of them to attend. I didn’t see this coming. This is great news. So big is the Yankees’ commemoration of a monument to George Steinbrenner at Yankee Stadium Monday night that Joe Torre and Don Mattingly are going to end their estrangement with the team to attend the ceremonies. The Daily News has learned that Yankee brass extended an invitation to both Torre, the former Yankee manager who won four World Championships with the team before leaving under acrimonious circumstances after the 2007 season, and Mattingly, who joined Torre as batting coach with the Los Angeles Dodgers after being passed over as Yankee manager for Joe Girardi that same year, agreed to attend. Torre announced on Friday that he will be stepping down as skipper of the Dodgers at season’s end and Mattingly will be his replacement. It will mark the first time since either Torre or Mattingly left the Yankees that they have been at Yankee Stadium, the old or the new. Ceremonies in which Steinbrenner will join Yankee immortals Joe DiMaggio, Mickey Mantle, Babe Ruth, Lou Gehrig and Miller Huggins with a monument in Monument Park, will bring together many of the Yankee living greats, including Yogi Berra, Reggie Jackson, David Cone, David Wells, Greg Nettles, Goose Gossage, and Roy White. 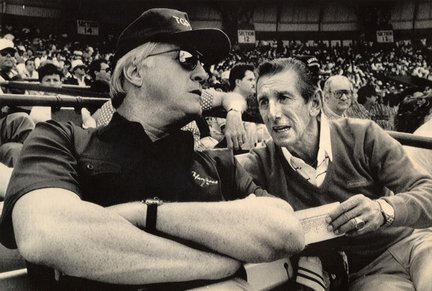 There’s no question that late former Yankees owner George Steinbrenner occupies an important space in Yankees history. 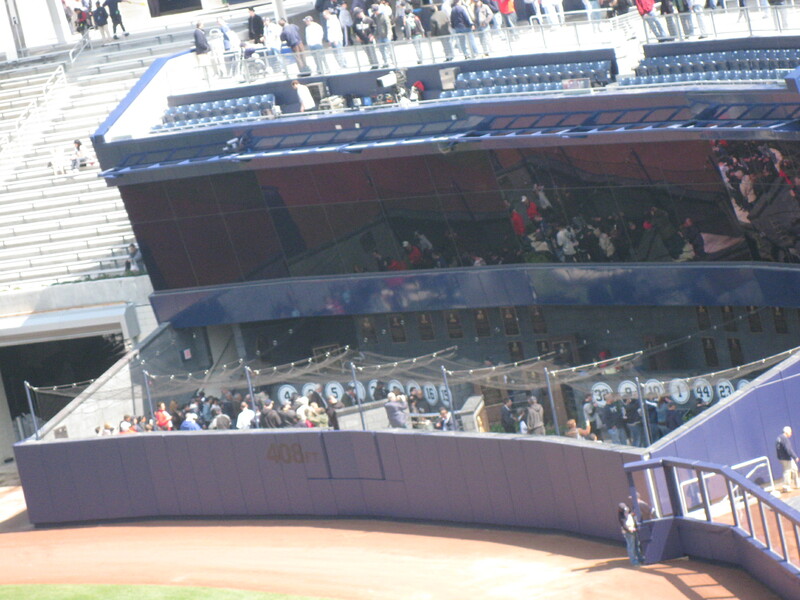 In September, Steinbrenner will take his place among the club’s other legends in Monument Park at Yankee Stadium. Steinbrenner’s monument will be dedicated on Monday, Sept. 20, before that evening’s game against the Tampa Bay Rays. At the news of the honor, the Steinbrenner family expressed its immense gratitude. “We remain profoundly grateful and touched by the many expressions of sympathy and support from so many,” the Steinbrenners said in a written statement. “We wish to thank everyone for their kind thoughts and prayers, which we continue to hold close. We are especially appreciative that our family’s privacy was respected as we grieved the loss of George. Steinbrenner, the principal owner of the New York Yankees since 1973, returned the storied franchise to prominence both on and off the field and won seven World Series titles. He passed away on July 14 at his home in Tampa, Fla., at age 80. The Yankees are also planning a special tribute to Steinbrenner’s life in Tampa before the opening game of Spring Training in 2011. Could C.C. reach 300 wins? He’s got 149 career wins and he just turned 30 last month. I don’t think it’s out of the question. If he really wants it, a few extra years in the major leagues should do the trick. If he plays until he’s 40, he’s going to have to average about 15 wins a year for the next 10 years. Is Monument Park big enough? When the new Yankee Stadium was built, you heard many complaints about how you couldn’t see Monument Park from your seat in the stadium. The old stadium’s park was wide open and was visible from basically any seat in the house. The new one is more closed in. Nobody is arguing whether it’s good looking or not, but is it big enough to house all the Yankees greats? At the moment, Yankees security guards need to count fans and send them in certain group numbers. As a person whose been to the new one several times, I can say that it gets pretty crowded in there. Sometimes it’s a struggle to even get a camera shot with all the fans walking all over the place. You have to figure that one day, Monument Park will have to be expanded. But how? There’s the Mohegan Sun Sports Bar overhead, and the bullpens/bleachers on both side of it. Retired numbers: Jeter, Rivera, Posada, Pettitte, Rodriguez, Torre, Williams (You might think it’s crazy now, but Sabathia, Teixeira [both thought to be franchise players] and Cano will likely have their numbers retired when it’s all said and done). Plaques: You have to figure that some of the players who get their number retired, will also get a plaque up on the wall. Joe Girardi to the Cubs? Many have debated the topic, with Cubs manager, Lou Piniella, recently stating that he will be retiring at the end of the season. Girardi grew up in the Chicago area, went to college there and was even drafted by the Cubs. As Mike Axisa discussed, this will give him leverage with the Yankees when contract negotiations are brought up. Does it make sense for Joe? He would be leaving a World Series caliber ball club, for a team that hasn’t won a World Series in 102 years and is a total disaster. If Joe was to leave (he never dismissed the possibility)….who would replace him as manager? Laura Posada: More Than A “Baseball Wife”!